I wanted to introduce you a couple more members of our family. I am reserving our newest additions for a later post. Corvette Man and I raise thoroughbred horses. These girls here have been with us for a while. 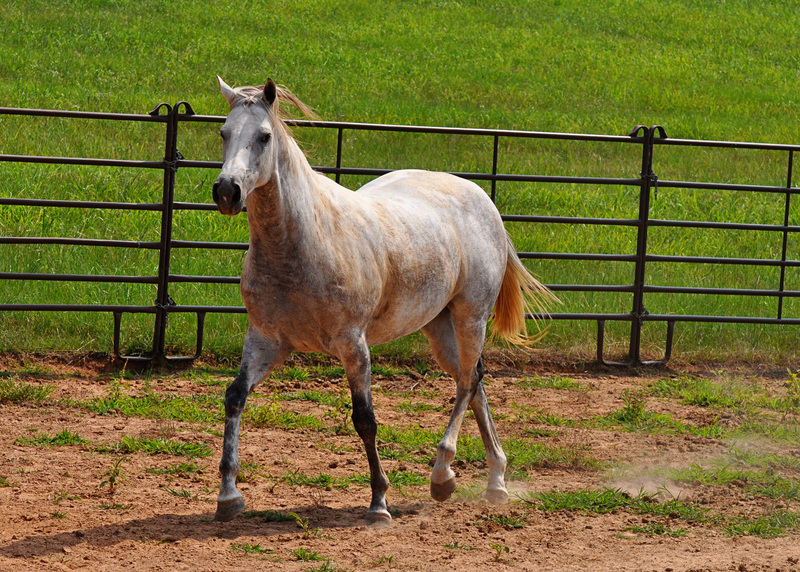 This gray mare is about seven years old. She is out of Laredo Rose, whom you will meet later in this post. We call this girl Tikvah. Her registered name is Ha Tikvah which means ‘the hope’ in Hebrew. 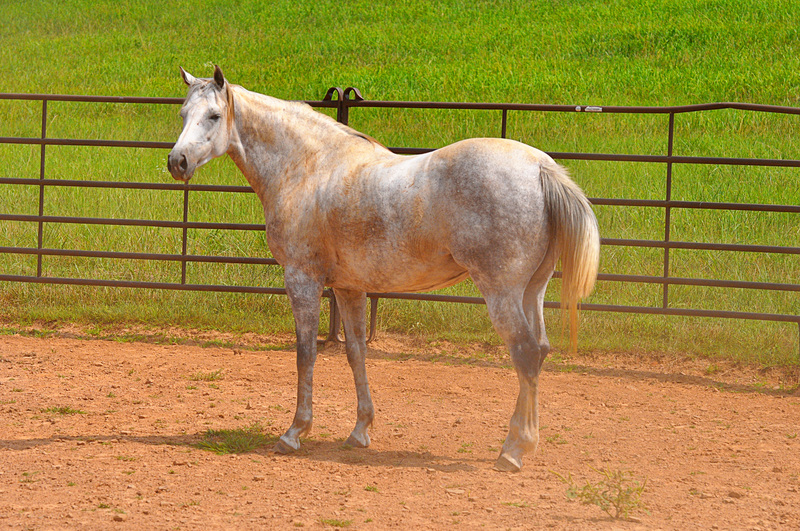 She is by a big gray stud – Cinnamon Creek. I believe you can see the resemblance (gray). She has a wonderful confirmation and I love her coloring. Those brown patches are just dirt. They love to roll in the loose sand. Rosie is my favorite. 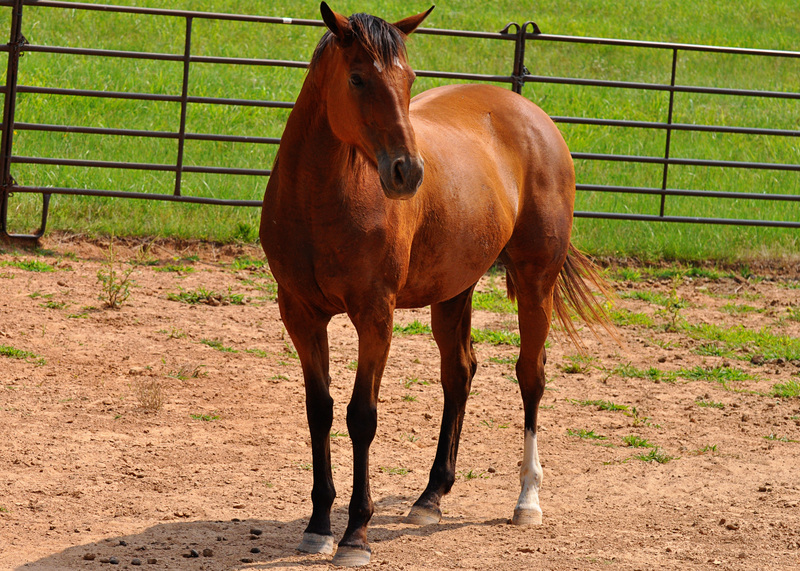 She was our first horse, came to us in 1996. 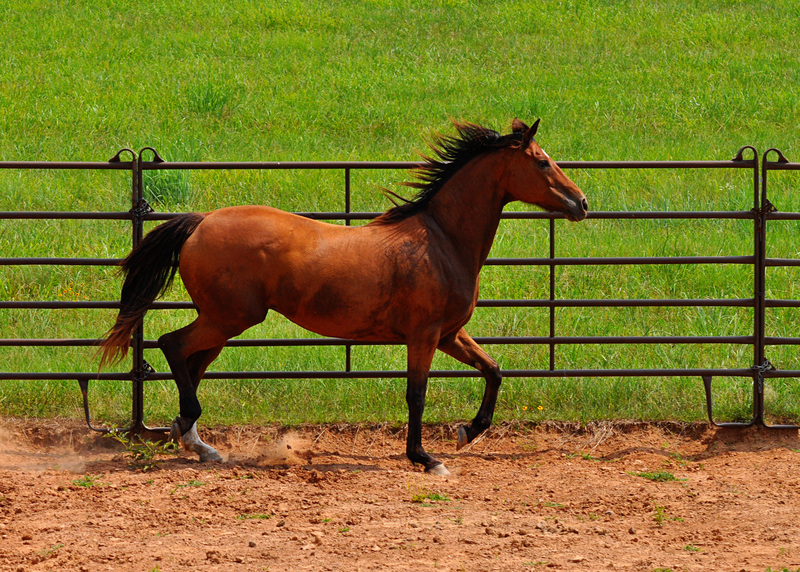 She is registered as Laredo Rose and is an excellent short distance, speed horse. She was the first horse to rear up on me. 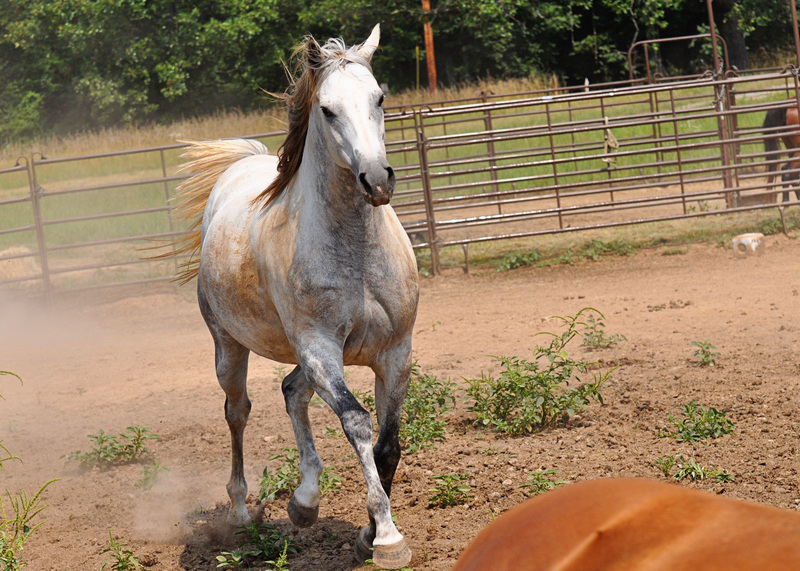 She was the first horse to unseat me, which wasn’t any big feat – trust me. She was the horse that inspired me to learn to ride… Because if I didn’t learn how to stay on a horse’s back I would be nursing way too many bruises for a, then, forty-year old woman. This girl is a bit aloof, but she will comply when you firmly assert your authority and your will. They look like night and day, don’t they? They are beautiful girls, though. They may be mother and daughter, but they get along like sisters – in a good way. They are my girls. This is a beautiful piece of heaven. What beauties. I’ve never had the opportunity to be around horses but I’ve always admired their graceful lines and their expressive faces. You’re so lucky to have them as part of your family. Thanks Maeve. After a week like this week, they keep me grounded and sane. I love when u post pics of ur horse life. 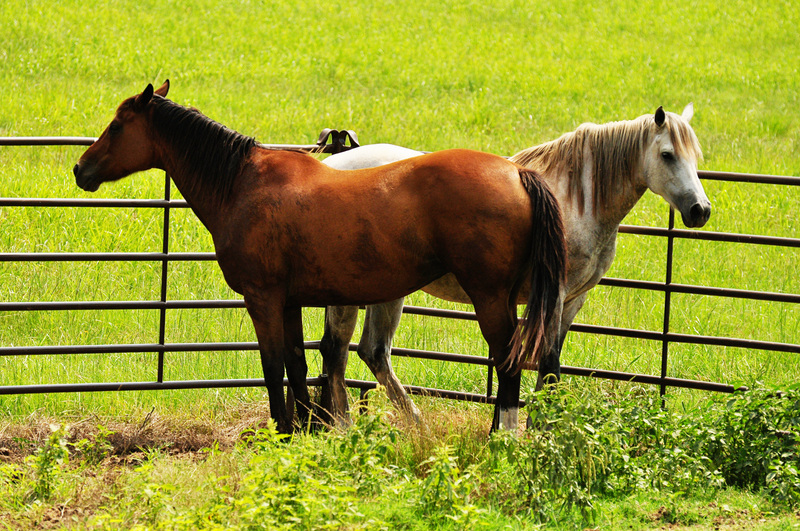 It’s my dream to own a horse. I was the only girl in a family of boyz growing up in a small New England town. My Dad and I would spend Saturday mornings riding Freckles around a ring. First Dad would hold me on the horse, then my little four y.o. hands would try to walk him around the ring. Even then I knew I would be a writer or something creative. I had visions of Freckles and I escaping the ring and running wild in the forests that surrounded the horse farm. 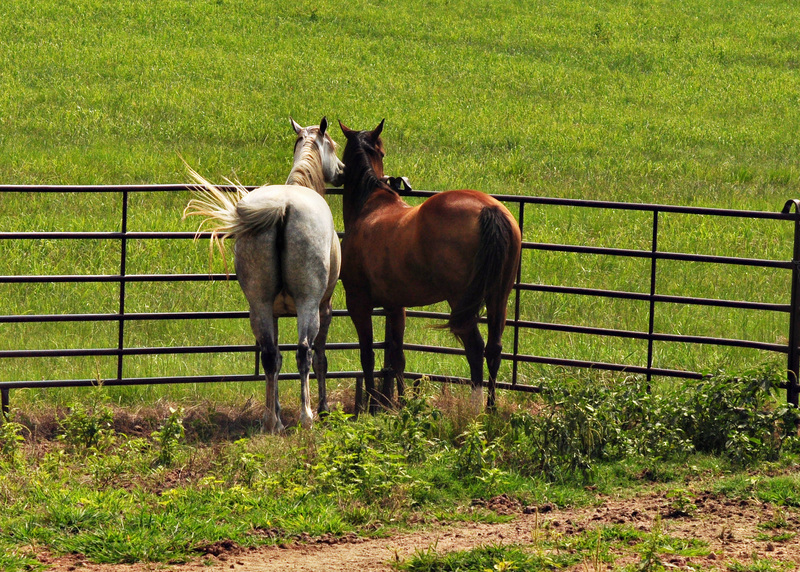 The more people I meet, the more I love dogs and horses. Luv your posts; thanks for sharing.